Missing teeth can leave you feeling embarrassed and frustrated, but fortunately, dental implants offer a permanent and natural-looking solution. 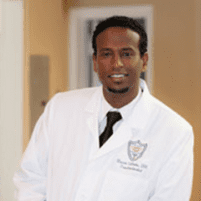 Mussie Sibhatu, DDS, MS, and the team at Laurel Smile Dentistry in Oakland, California, offer both single and multiple dental implants. You can even replace all your teeth with dental implants if needed. Use the online booking tool or call Laurel Smile Dentistry to schedule a consultation now. Dental implants replace missing teeth. They’re different than removable dentures because your Laurel Smile Dentistry dentist permanently anchors the dental implant post inside your jaw. Then, your dentist attaches a replacement tooth. A custom crown fits precisely onto the replacement tooth, giving your new tooth a very natural appearance. Even if you’re not a good candidate for dental implants right now, your dentist can tell you about some options to change that. For example, during bone grafting surgery, your dentist adds new healthy bone from either your own body or from a donor to the area of the jaw where you need it. Synthetic grafting material is also available. The new bone or grafting material then works as a scaffold, and your body makes new cells to layer over it. All-on-4 is a full-arch teeth replacement system that includes both dental implants and a fixed bridge. This system can replace either or both arches. Your dentist at Laurel Smile Dentistry places four dental implants in each teeth arch, two in the front and two in the back, for stability. Then, your dentist fixes a custom bridge permanently to the dental implants. The result is a full-arch teeth replacement that looks and feels natural. All-on-4 is a popular option for patients who want permanent teeth replacement but don’t have the money for full-mouth dental implants. 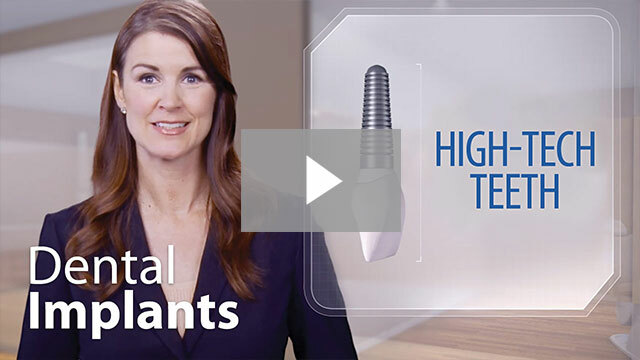 With just four implants per arch, the cost can be much less than full-mouth implants. It varies depending on how many implants you’re getting and whether you have other dental issues. Usually, you’ll have the implant post installed and then wear a temporary tooth replacement for a few months while the implant post fully fuses to your jaw bone. When you return to Laurel Smile Dentistry, your dentist removes the temporary one and places the permanent ones. After that, you’ll use the new dental implants just like your regular teeth.